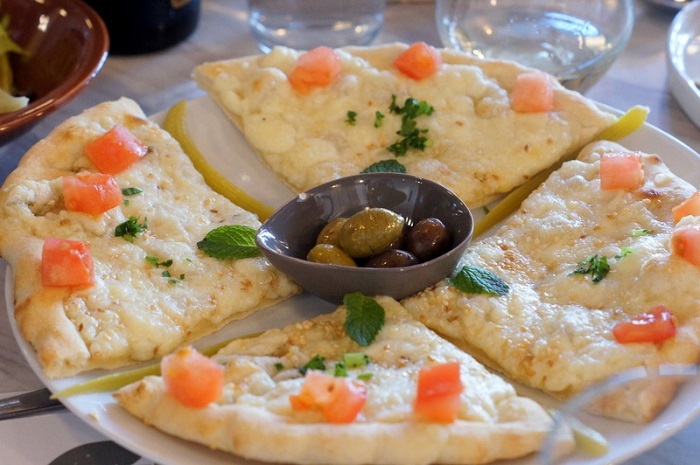 In Arabic, “laziz” means enjoyable, tasty and lighthearted. With that in mind, owners Derek Kitchen and Moudi Sbeity could not have picked a more appropriate name for their restaurant: Laziz Kitchen. The food is tasty, indeed. The vibe at Laziz is nothing if not enjoyable, and both the food and ambiance is lighthearted, never heavy-handed. This place just oozes friendliness. It’s like being invited to a family meal – a Mediterranean/Middle Eastern family meal, in the case of Laziz, where most of the cuisine has its roots in Lebanese culinary tradition. And, it’s the type of place where you’ll want to share your dishes and table hop, since you’ll undoubtedly run into old friends there. I always do. Originally, Laziz was solely a lunch spot. Then, dinner was added a couple night a week. 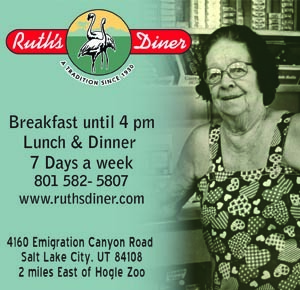 Now, Both dinner and lunch are served Tuesday through Sunday, plus brunch on weekends. As Laziz has grown, so has the menu. 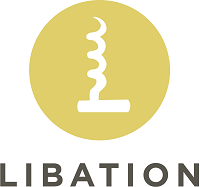 I suggest dining at Laziz with a crowd, which will give you the opportunity to graze, sample and share many of the killer kitchen’s outstanding dishes. 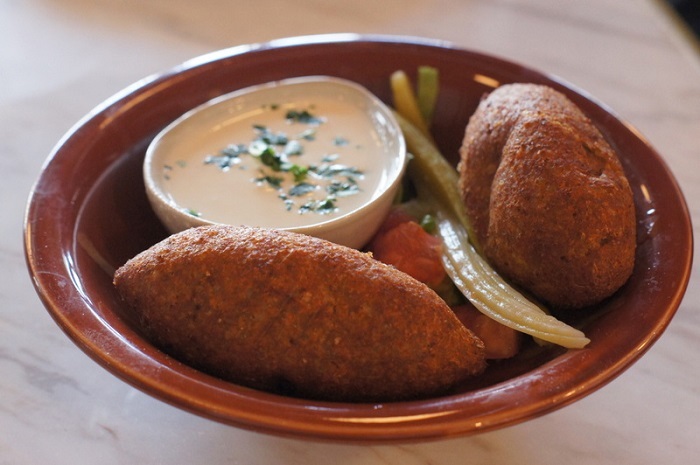 Like the kibbeh ($8), for example. These are small, football-shaped fried morsels of ground beef with Middle Eastern spices, burghul wheat and walnuts with a tahini-based tarator sauce. 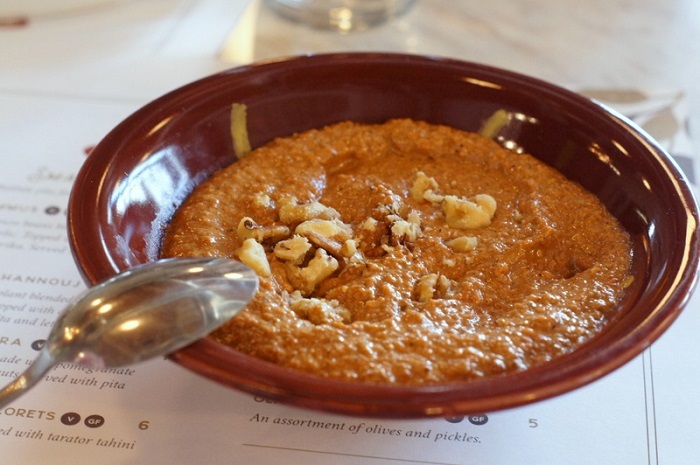 Another superb sharable starter is muhammara: a Syrian red pepper dip made from roasted Aleppo peppers with chopped and ground walnuts, pomegranate molasses and out-of-this-world homemade pita bread. If you’re looking for something that the kids will enjoy at the table just as much as the adults, share an order of halloumi ($8). It’s sort of a Middle Eastern pizza: grilled pita topped with halloumi cheese, parsley, tomato tapenade and zatar spices. Or, since beets have bucked trends and become so popular, you might opt for Laziz Kitchen’s roast beets ($8) with feta, toasted sesame seeds, orange blossom, lemon, olive oil and parsley. 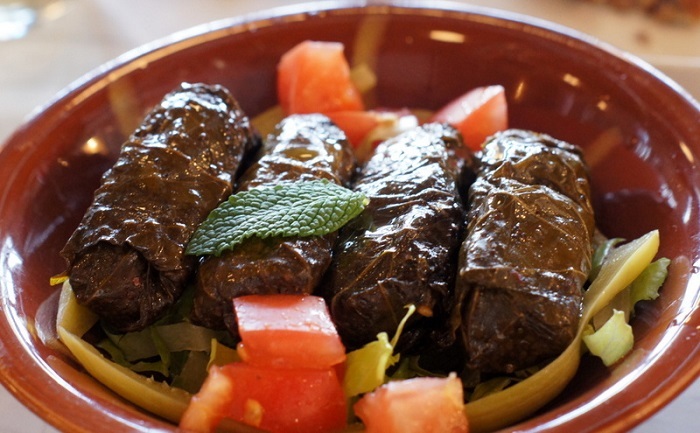 Whether at lunch or dinner, I can never resist a plate of stuffed grape leaves from the Mezze menu. The tender leaves are stuffed with cooked rice, garlic, and walnuts, served with lemon and diced tomato – a classic mezze that’s hard to improve upon. 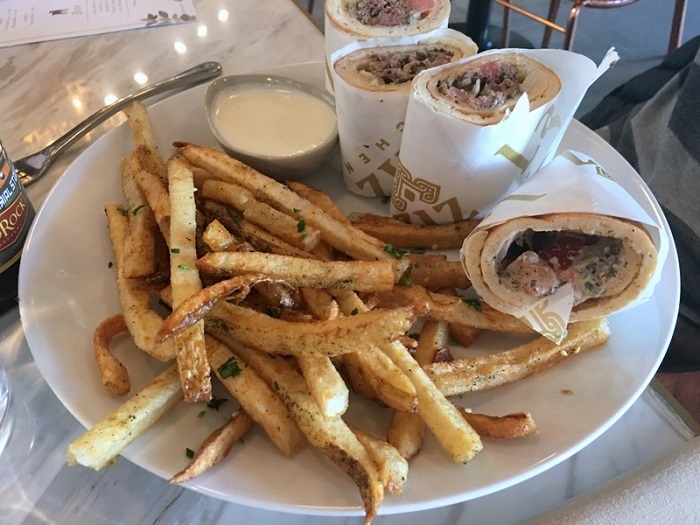 Another Laziz crowd-pleaser are their wraps, and I’m especially fond of the falafel, kafta beef and chicken (shish tawook) wraps, especially with the restaurant’s zatar-spiked fries alongside. Excellent main dishes include the salmon and veggie ceviche and an entree called maghmoor: a stew of eggplant and chickpeas served pot pie-style with garlic, tomatoes and mint. 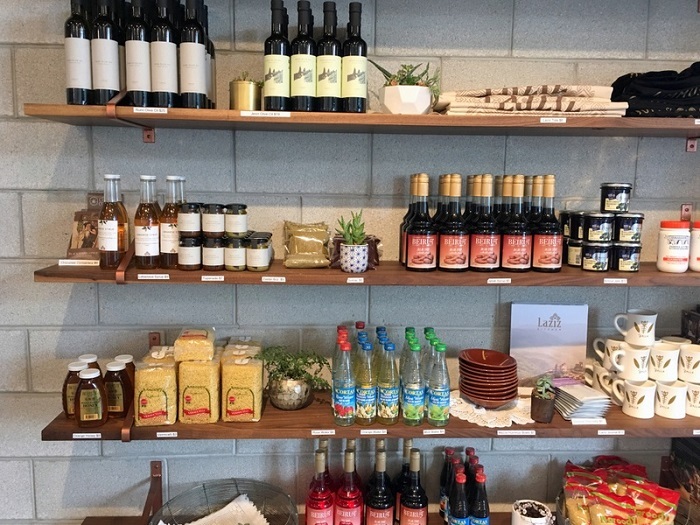 While you’re there, be sure to peruse the small, on-premise (and online) market at Laziz, where you’ll discover hard-to-find ingredients – mostly from Lebanon and Palestine – for your pantry such as zatar, toum, tahini, rose and orange blossom waters, pomegranate molasses, olive oils, syrups, preserves, cookbooks and more. 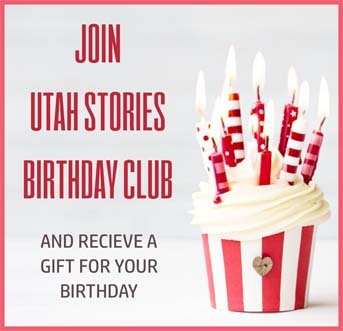 Laziz Kitchen is one of the independent restaurants in Utah that has helped to elevate the increasingly diverse dining scene here. It’s an eatery that would be at home in New York City or San Francisco, but we’re lucky and grateful that Derek Kitchen and Moudi Sbeity chose to build their business right here in the Beehive. It’s a real gem.